It took longer than I had expected but I have finally completed my Gelato scarf. The colors are so pretty and pastel that it reminds me of candy or of brightly colored ice cream. l Back in January my mother bought me a skein of this gorgeous candy colored yarn Lace Wool yarn in Gelato made by Prism. 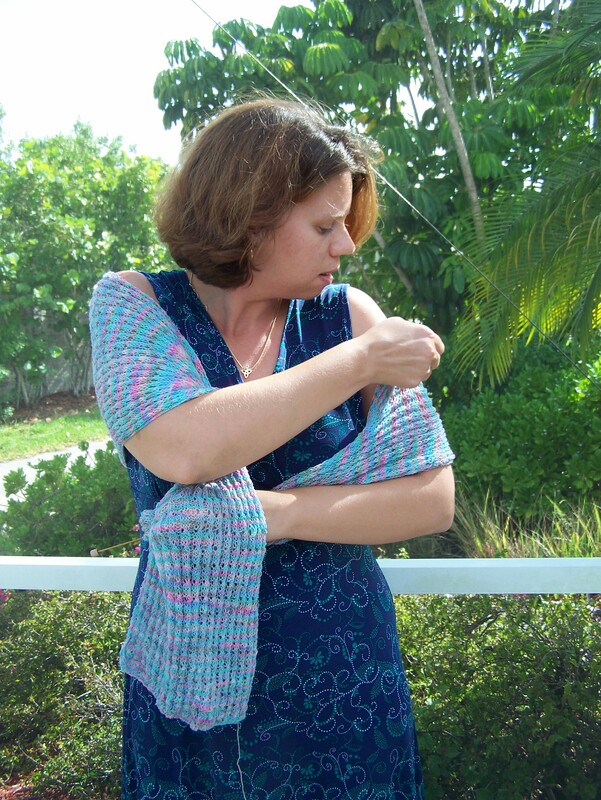 We bought it from a small shop in Coral Gables, The Knitting Garden. Gauge 1 inch = 12 stitchs x 8 rows Lace Wool with size 0 straight needles. K2Tog = Knit two together creating one stitch where there was two. PSSO = Pass slipped stitch over (Slip the stitch purse wise, Knit two together, then pick up the slipped stitch moving it over the two that were knitted together. Continue for the appropriate length and wear with pride. 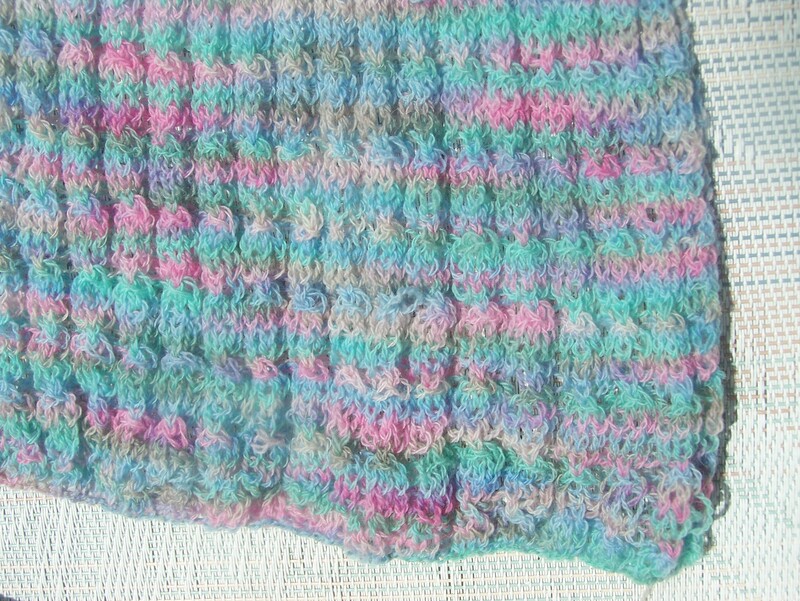 This is a very light and airy scarf, perfect for the summer months.